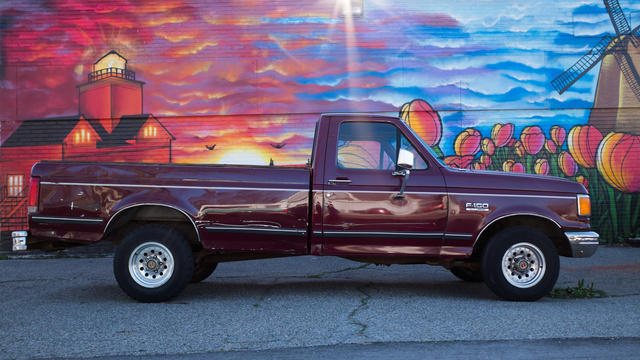 Have you driven a 1990 Ford F-150? 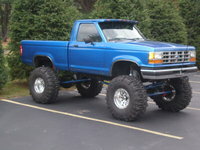 Displaying 11 - 20 of 41 1990 Ford F-150 reviews. 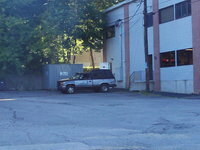 My F-150 — it is an old vehicle. the people who i bought it from told me it wouldn't last thru the winter of 08' and here it is the winter of 09' and it still works. just proves that american cars are made better. i don't care if i get 11 MPG. my truck is a work horse. Good, Dependable Little Truck — It was a good-running little truck. It was a manual. That thing rattled more than any truck I've ever owned. It got decent gas mileage(like 15 mpg). 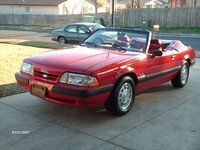 I got a good deal on it when I bought it, and I had a good time in it. The Specter — It's a good looker and a good worker. you step on the gas and it goes! I love it personally, for this is actually one of my dream cars! it is very fun for me to drive because I don't have to worry really about dinging him up. this is the type of truck that was built to last and it will, so long as I keep up the maintenance. All I can really say is; I cannot wait to get back behind that wheel and feel free again! $1500 — its pretty snappy for a stock 5.0L, it has the typical ford rust on the rear fender(but it is very minimal), other than that a few dents and scratches its perfect. gas mileage is typical of a larger truck but is ok on the highway, and i love drving it, but i just wish it had a little more power. The Spector — needs a little sprucing up but... I love it, Its mine, and I cannot wait to get back behind the wheel again tomorrow! so far, not being nice, it's hitting round 13 miles per in town, but only have had it for couple weeks, but i still love it! 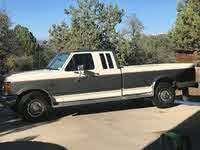 Facts About My Truck — well, it's an old truck, it has about 176,000 on the ticker, it runs good, it's the straight six, i bought it for 600 bucks, it's fun because it's a four speed overdrive, i actually like it alot except for the fact ford used thin sheet metal in the late eighties, early nineghties. It's Ok For A First Car. — It's really hard to get up to speed, The brakes work well, because I had to fix them myself. It is pretty ugly, but in fairly good shape considering it's 19 years old, but it's such a gas guzzler!! It's fairly fun to drive, except when it randomly shuts off. Pros: It's as tuff as a tank, and people generally stay away from you. Cons: It costs waaay too much in gas. Good For Good Ol' Boys Who Need A Haul And Pull A Little, Not As Well For Farmers & City Slickers! — It is a ford, it has a manual transmission, it accelerates and brakes alright, but handling, don't try to drift it! maintainance is very little, but gas is a different story, It's an alright truck to drive, not like a muscle car! Pros: it is a good sized truck! it's hauls a bit, and it's roomy! Cons: it kinda eats gasoline, aint a drift car, and caint go as fast as a great muscle car!